On this page you will find many guitar practice videos that will show you how to improve a variety of aspects of your guitar playing. In order to get much bigger results from your practice time, you must know how to avoid the most common mistakes guitarists make when learning guitar and also understand how to practice the most important guitar playing techniques. 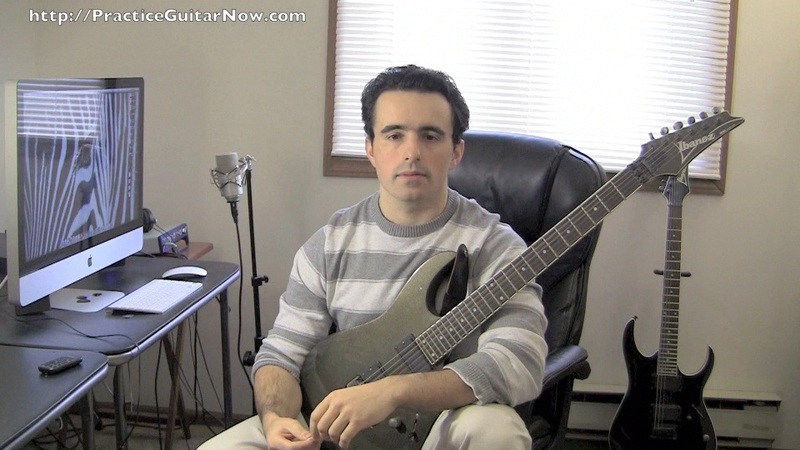 Watching the guitar video lessons below will help you to become an expert at solving your own guitar playing problems so that you can speed up the process of becoming the musician you want to be. Playing guitar fast is not enough - you also want to play cleanly and avoid embarassing mistakes that make you sound bad, right? To do this, you need to learn how to practice the right way, so your playing always gets better when you pick up your guitar. It's not as hard as you might think. 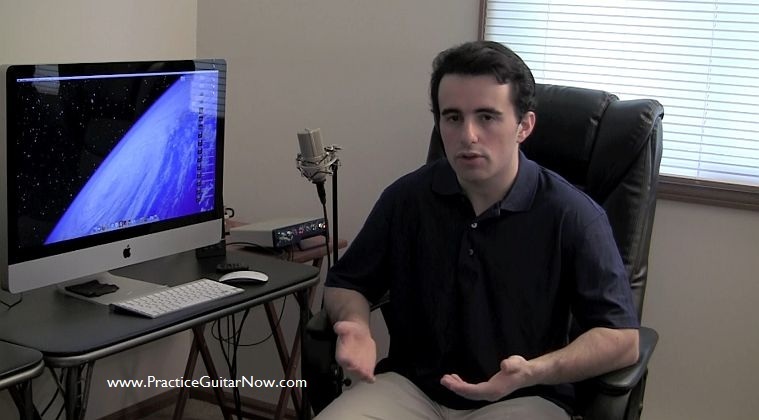 Watch this video to learn how to play guitar cleanly without mistakes. Wouldn't it be awesome to have a simple way to make your guitar playing sound better & cleaner without doing more practice? Of course it would... and you are about to learn one such way. It has nothing to do with your hands and has everything to do with how your guitar is set up. You can implement it in just 5 minutes and see results right away. Learn a simple guitar tip that instantly makes you sound better when you play. Playing guitar becomes a lot more enjoyable when you don't struggle to play the notes. Effective guitar practice makes your guitar playing feel effortless. This helps you to play the music you want to play without fighting against yourself. Learn simple picking hand tips for guitar that make your guitar playing feel effortless. You need effective guitar exercises to maximize your musical progress. 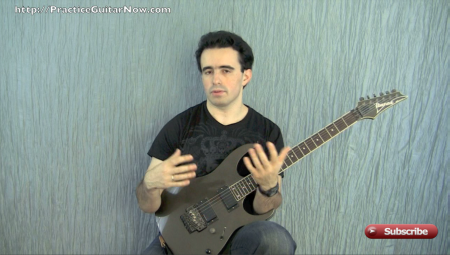 Effective exercises are customized to your specific challenges, goals and needs on guitar. This helps you avoid overwhelm from having too much to practice, so you can improve your skills in less time. Learn how to create the right guitar exercises for yourself. To pick clean and fast on guitar, your hands must work independently of each other. 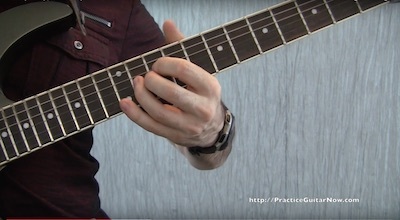 The fretting hand must stay relaxed as your picking hand plays the notes with power. 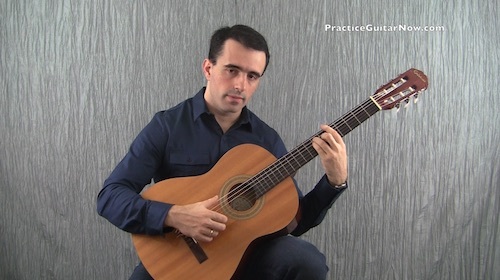 This video shows how to develop independent coordination in your hands when you play guitar. 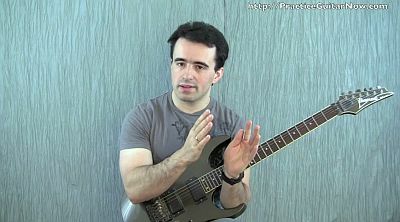 Your guitar playing becomes much easier when you learn how to relax extra tension in your hands during guitar practice. This helps you play guitar much longer without becoming tired and without making embarassing mistakes. Learn a simple way to control excess tension in your guitar technique. Your sweep picking technique improves quickly when you learn how to spot sloppy mistakes at faster speeds and fix them in real time (without slowing down). 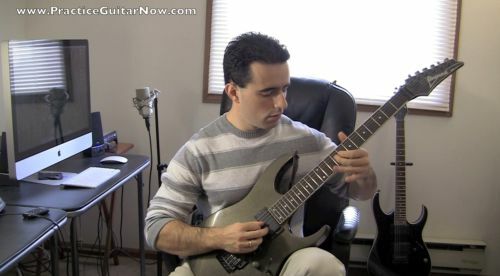 This video shows a simple guitar practice method that cleans up your sweep picking and helps you create cool arpeggio guitar licks in the process. 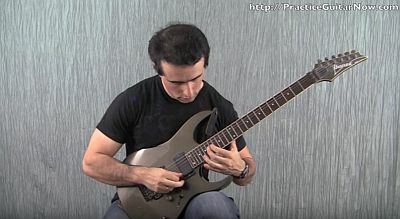 Learn how to clean up sloppy sweep picking. 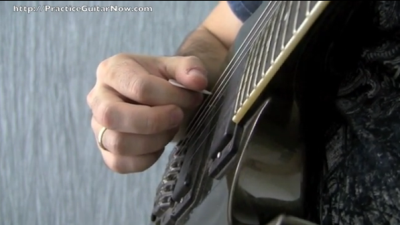 Many guitarists have a hard time playing barre chords without persistent thumb and wrist pain. This fatigue makes playing guitar a real struggle. Learn how to practice barre chords to make them very easy to play, so you can play your favorite songs accurately and with little effort. Your favorite guitar players all make their playing look (and sound) easy. You can learn to do the same when you practice guitar in a way that makes this possible. 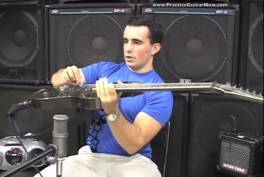 This video shows simple tips that help you control unwanted muscle tension in your body when you play guitar. The sound of your guitar vibrato determines the sound of everything you play on guitar. When your vibrato sounds great, you sound great (or at least very good). If your vibrato is weak, the rest of your playing sounds weak as well. Learn how to practice guitar vibrato technique, so you master it and make your guitar playing sound great. Your hands must always move in perfect sync for every note you play. This ensures that your guitar playing sounds good, articulate and clean. You need specific guitar practice strategies that help you maintain your synchronization at the highest tempos. 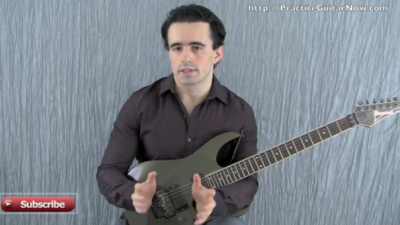 This video shows a simple guitar practice drill that improves your 2-hand synchronization. Fact: playing guitar with a clean tone makes many of your mistakes harder to hear and fix. Distortion makes mistakes more obvious and easier to correct. Yes, you read this correctly. 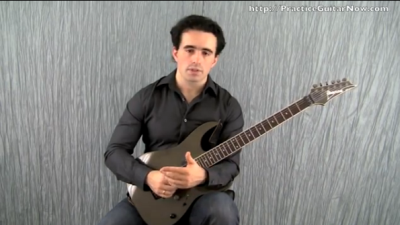 Watch this video to see proof why you should practice guitar with distortion. It's not hard to make your sweep picking clean and fast and I will show you how to do this with any arpeggio you practice. There are 6 areas of your guitar technique and general practicing you must focus on and master. When you do, sweep picking will begin to feel incredibly natural, fast and fluid...and you'll met faces off of everyone who hears you play guitar. Learn what it takes to sweep pick fast and clean. Warming your hands up for practicing guitar is not fun for most people...and in the winter months this process takes even longer. There is a shortcut you can use to help your fingers become warm a lot faster, while improving your picking and fretting hand techniques and minimizing excessive tension in your body. Best of all, it will reduce the amount of time you currently spend warming up, leaving you with more time to actually practice and get better as a guitarist. 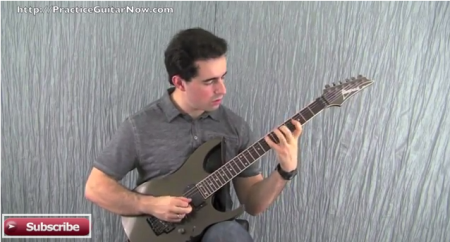 Learn a highly effective way to warm up on guitar. Fact: your hardest guitar playing challenges often have very, very simple solutions. Sometimes all it takes is one micro adjustment in the way you play guitar or position your hands and suddenly things that seemed unplayable before become effortless. Give me 11 minutes and I’ll show you 8 most common fretting hand problems that cripple your guitar technique and simple solutions to each one that will make you a much better guitarist. Learn how to improve your fretting hand technique for guitar. Improving your picking hand technique for guitar is not done by seeking out "picking exercises" - it's done by refining the nuances of your picking motions and mastering them to a very high level. 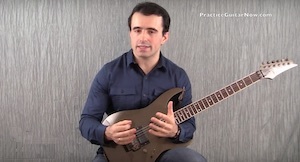 To do that, you must learn how to train your picking technique when you practice, as well as what NOT to do when practicing. Watch this video to learn about 10 common guitar picking mistakes and how to avoid them. Looking for more guitar exercises won’t make you a better guitarist. Why? Because the usefulness of exercises is only as high as your ability to practice them. To make more progress in your playing, stop looking for things to practice for awhile. Instead focus on how you practice your guitar and learn how to correctly practice all the hundreds of guitar exercises you already have. Learn how to make more progress in your guitar playing without any new exercises. Can You Spot These Guitar Practice Mistakes? Can you spot the 15 things I do wrong in this video while practicing guitar? This fun challenge will help you to understand how much you REALLY know about practicing guitar and how well you can pinpoint the causes of your own guitar playing problems. This ability to is critical to getting the most results out of your practice time. Take the test and then I will send you my feedback and answers that will make your practice time a lot more effective. See if you can spot these guitar practice mistakes. Don’t waste your time practicing every random guitar exercise that you come across- distracting yourself from what you REALLY should be learning. 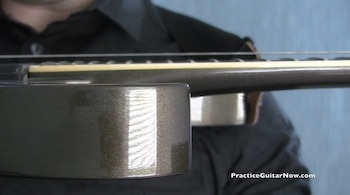 There are ONLY 8 core areas of your guitar playing that you must practice to improve on a regular basis… yes, just 8. When you consistently and correctly practice these elements of musicianship, your guitar skills will have nowhere to go but through the roof! Here is what to practice to become a great guitarist. We all want more guitar practice time, but what can you do if your time is REALLY limited? Good news, you absolutely can make consistent progress in your playing even with little time, if you: stop wasting the practice time you DO have, know how to set very specific goals with every practice item and fully take advantage of every minute of ‘idle’ time you have to make yourself a better guitarist. Learn how to do all of the above (plus a lot more) in this video on practicing guitar with limited time. 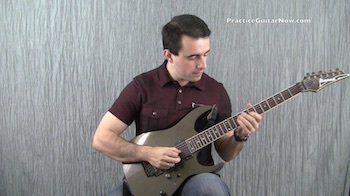 It doesn't matter what practice approaches you use or what exercises you practice - you won’t build fast picking speed until you make your picking technique highly efficient and streamlined. There is one mistake in particular that most guitarists suffer from (some have it worse than others) that makes fast playing many times harder than it should be. Watch this video to learn what it is, how to fix it and how to make your technique highly efficient, so you can play guitar faster. Want to make your fast guitar playing feel easier and sound cleaner? There is a simple tip that will help to improve your picking speed, no matter if you still struggle with playing fast or simply want to take this skill to a higher level. Best part is, it doesn't require a lot of practice time and it’s not difficult at all. Normally I don’t believe in 'tricks' when it comes to practicing guitar, but this one actually WORKS. Learn all about it in this guitar picking video. Bad news: It doesn't matter how many legato exercises you practice - if your general approach to playing legato is flawed, you will only get better at playing this technique ‘badly’. Good news: once you refine the way you practice legato, ‘any’ exercise you practice will make your playing better. Learn how to fix 3 of the most common practicing mistakes that hurt your legato playing in this legato guitar lesson. There is a big problem with most finger independence exercises: they do not work! In many cases they actually ‘create’ more bad habits than they solve in your guitar playing. Improving your fretting hand finger independence is simpler than you think, but it will not be achieved with ‘exercises’. 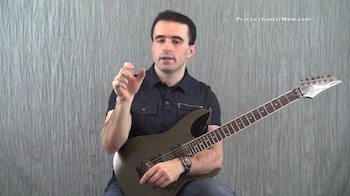 See why in this finger independence lesson for guitarists. 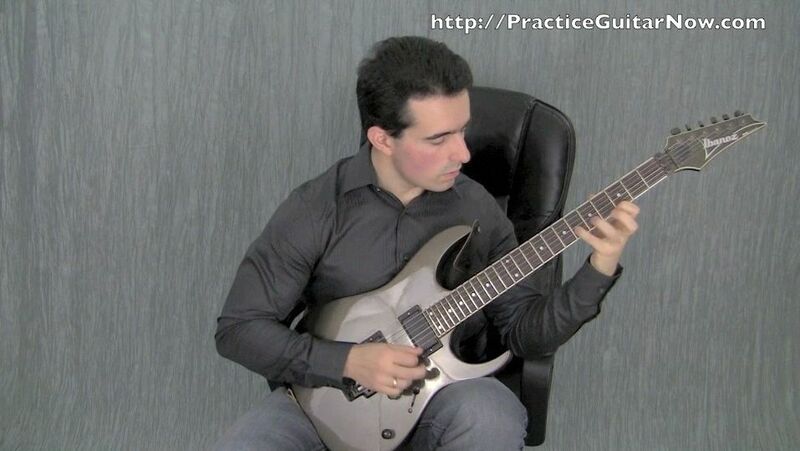 You will become a better guitar player much faster ‘with’ a well-designed practice schedule than without one. 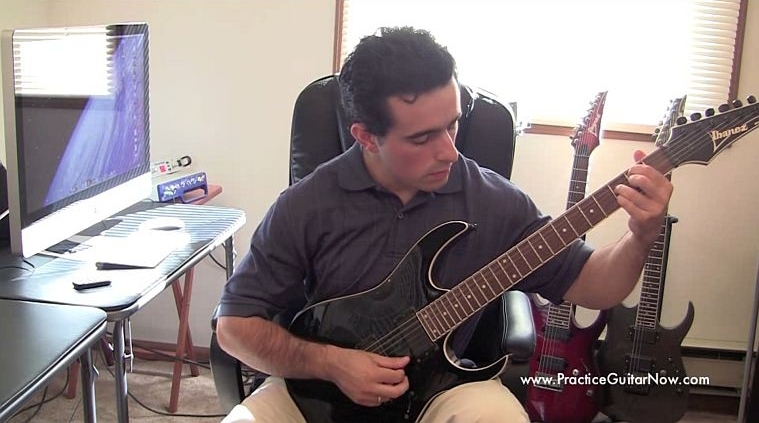 You must learn how to create practice routines that 1. actually help you to progress on guitar, 2. are simple to follow, 3. help you to enjoy the process of practicing. Learn how to make a guitar practice routine that works for you. Shred guitarists and blues/classic rock guitarists can learn a lot from each other. Both groups possess strengths in certain areas but are often weak where the other is strong. 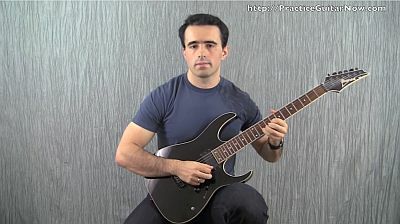 You will become a better guitarist faster when you learn how to combine the effectiveness of both styles of practicing. 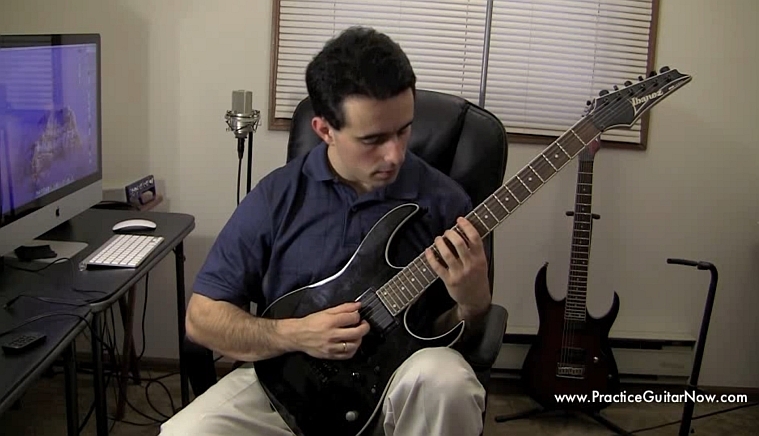 Learn how by watching this shred vs. blues guitar lesson. There are 6 deadly mistakes you must avoid when trying to build guitar speed before you work on another ‘speed exercise’. If left uncorrected, these mistakes will devastate your chances to ever build serious speed and will forever restrict you to playing guitar slowly. Learn the ‘real’ obstacles that stand in the way of you playing guitar fast. How Good Is Your Guitar Vibrato? Your vibrato defines your lead guitar style… but how GOOD is your vibrato? You can test this very easily to find out how close you are to mastering this technique. Prepare for an eye-opening experience and for learning a great way to track your progress with guitar vibrato. Pinch harmonics add fire and intensity to your guitar licks and riffs. Many guitarists have a very hard time doing them correctly, even though this technique is not all that hard to learn. 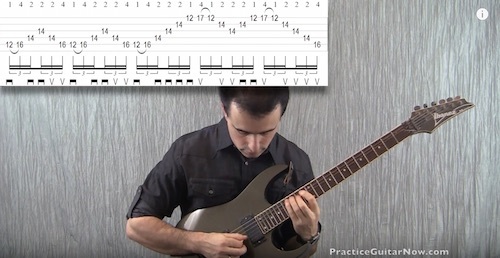 In this pinch harmonics video I’ll show you the exact steps you need to know to master it. Sweep picking can be one of the most frustrating techniques to learn on guitar if you don’t have an effective way to identify your mistakes, analyze them and know how to fix them. The good news is that the solution is simpler than you think. All you need to do is learn how to expose the weaknesses in your technique in a more obvious way so that it becomes immediately clear what to do to overcome them. 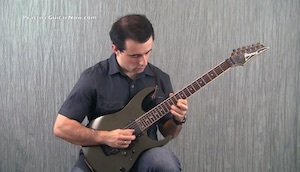 To learn how to do this, watch this video about sweep picking exercises. Many guitarists try to develop their picking technique through hours of repetitive practice with a metronome. However, there is a much better and easier way to speed up your guitar picking technqiue progress that is completely neglected and misunderstood by most musicians (and even most guitar teachers). Watch this guitar picking technique video to learn all about it. Sooner or later in your guitar playing you will run into a plateau, not understanding why your guitar progress has stopped all of a sudden. What you need to have during such moments is a reliable step-by-step process that will help you to start improving your musical skills once again. 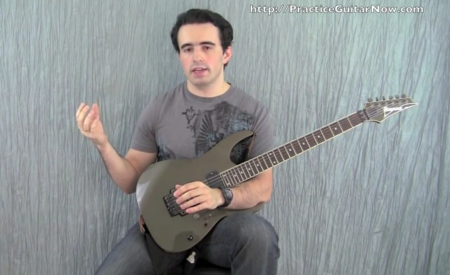 This video will give you the exact blueprint to follow for improving your guitar playing. 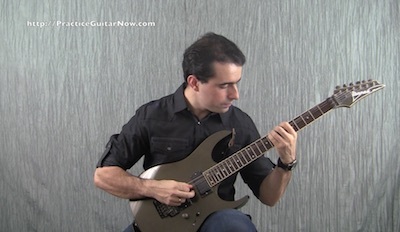 If you have ever been stuck, not knowing what to do to solve your guitar playing problems, this video guitar lesson will teach you an innovative approach to overcoming your guitar practice challenges. 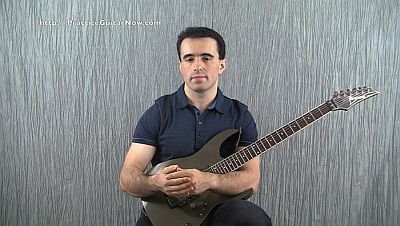 By applying the advice from this guitar video lesson you will have the guitar practice techniques needed to solve many problems in your guitar playing. One of the most under practiced skills on guitar is the ability to visualize the entire guitar fretboard and knowledge of notes on the guitar neck. 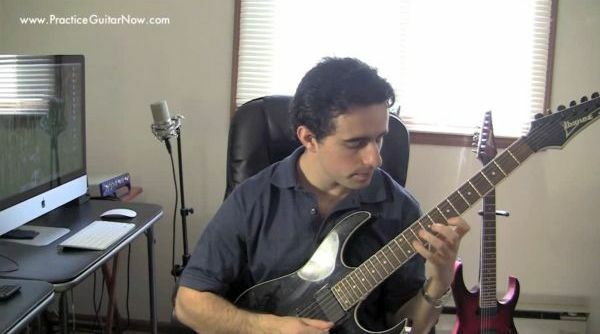 This guitar practice video goes into detail about how to practice to learn notes on guitar and it will show you how to begin using this knowledge more creatively in your guitar playing. Have you ever wondered about how the best guitar players practice guitar? 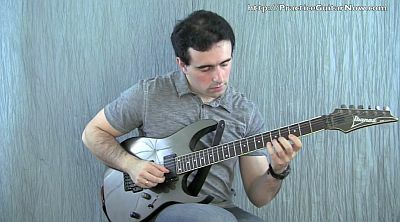 The fact is that the most advanced guitar players have many things in common in the way they approach learning music. 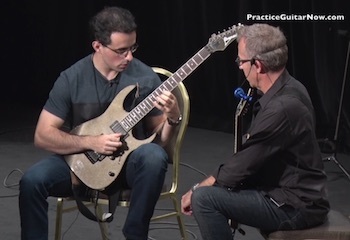 This guitar video lesson goes into detail about these common elements of effective guitar practicing so that you can learn to use the same methods to improve your guitar playing. Among the most essential skills for any guitar player is the ability to easily change between any pair of chords. Unfortunately, many guitar players have a hard time doing this well, causing themselves unnecessary struggle when attempting to play their favorite songs on guitar. Watch this video on how to learn guitar chords to find out how to eliminate this problem from your guitar technique. If you intend to play any lead guitar, then it will be your string bends and vibrato that determine how good your guitar playing actually sounds. 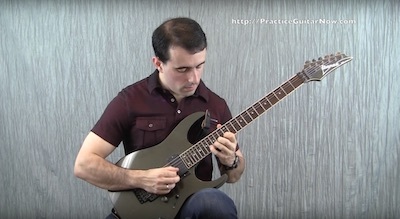 Although these techniques appear to be simple, most guitar players CANNOT make them sound good in their playing. 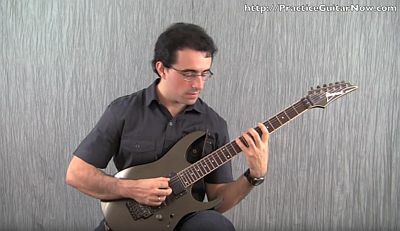 Watch this guitar practice video to learn the best way to learn and practice guitar vibrato and string bending. Do you want to learn a simple guitar practice drill that is guaranteed to improve your guitar picking speed and accuracy? 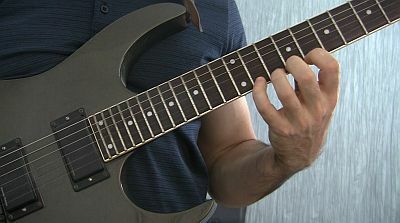 Many guitar players take their picking hand technique for granted, focusing all of their attention on the fretting hand. Watch this guitar video lesson to learn how focusing on the articulation of your guitar picking technique can create a huge amount of improvement in your guitar playing in a short time. Knowing how to practice scales on guitar effectively can be the difference between you feeling free to express yourself with your guitar playing and you simply ‘guessing’ what notes to play whenever you improvise or solo. Fortunately, there is a simple guitar practice method that can be used to easily learn to play any scale ALL OVER the guitar fretboard. 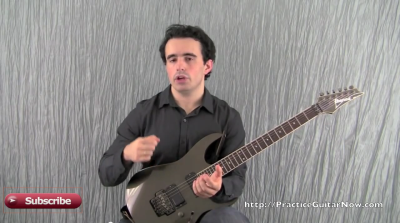 This video on practicing guitar scales will show you how.